This shows free space pathloss (attenuation) at 100m in the radio frequency range. 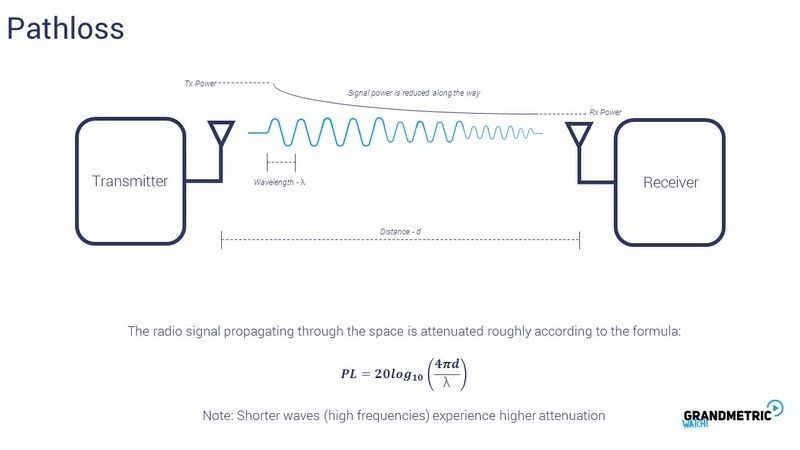 The above figures and formulas is free space loss, but in reality we have a slightly more complicated behawior of the radio waves. 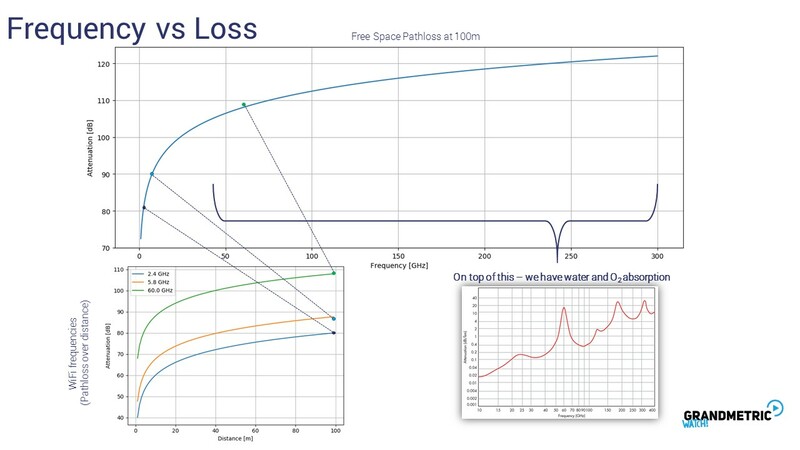 So taking those into account we can take look on the figure/curves showing the difference between free space loss and indor model application for the propagation – and we can see that the indor propagation is about 6dB „worse” for 50m. 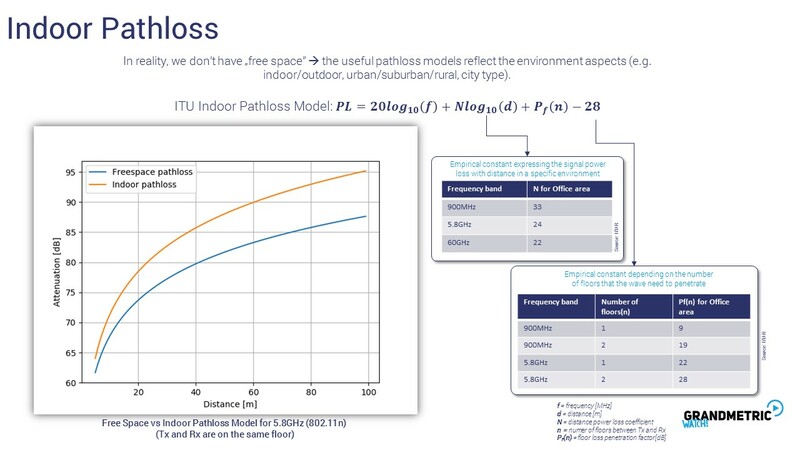 This shows that it is important to have a proper method for calculation of the pathloss as it impacts much the answer for the question – where will the signal be still reachable. 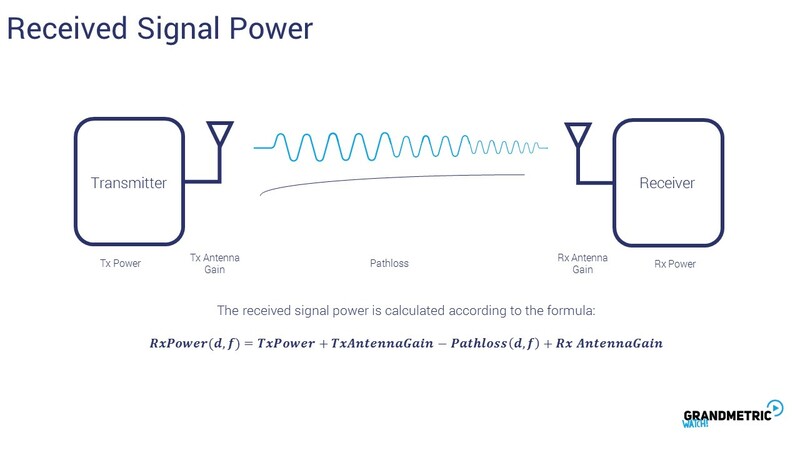 The pathloss curves can be flipped to the received signal power lelvel taking those parameters into account. 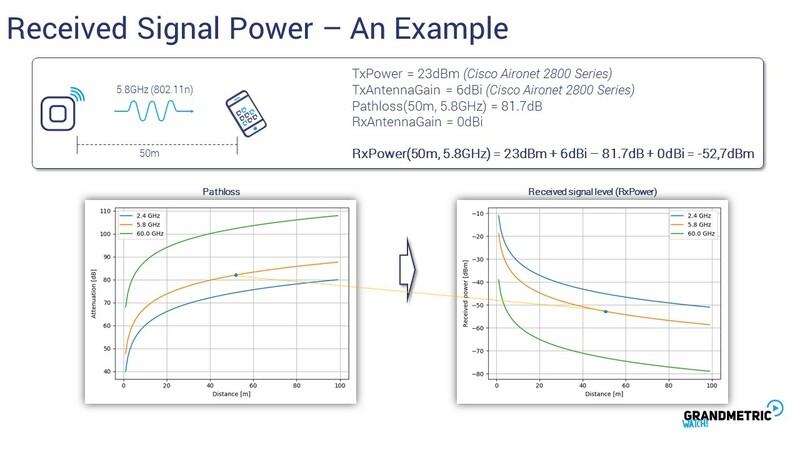 So we can see that at at 2.4GHz we get -45dBm, at 5.8GHz à -52.7 and at 60GHz à -72dBm.